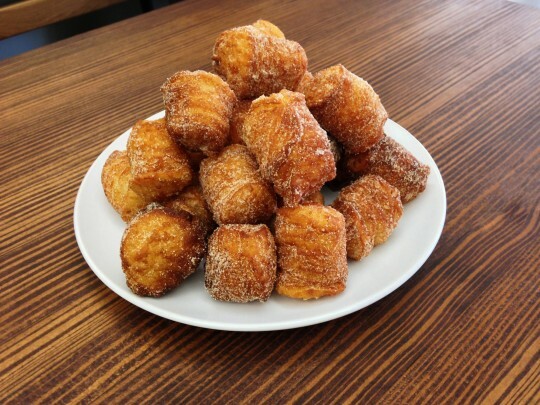 The Shake Shack in Madison Square Park will be selling butter-caramel Cronut Hole Concretes for one day only, next Tuesday, September 17 as part of a charitable collaboration with Cronut creator Dominique Ansel. Only 1,000 Cronut Hole Concretes will be made, each costing $4.50, with a limit of two per customer. Shake Shack will open at 10:00 a.m. Sales of the concrete will benefit the New York Police Department (NYC Patrolmen’s Benevolent Association Widows and Children’s Fund) and Madison Square Park Conservancy. 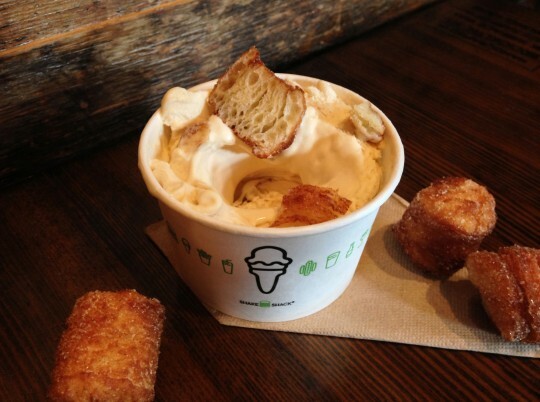 Shake Shack ‘Cronut Hole Concrete’ Day 2013 from Shake Shack on Vimeo.